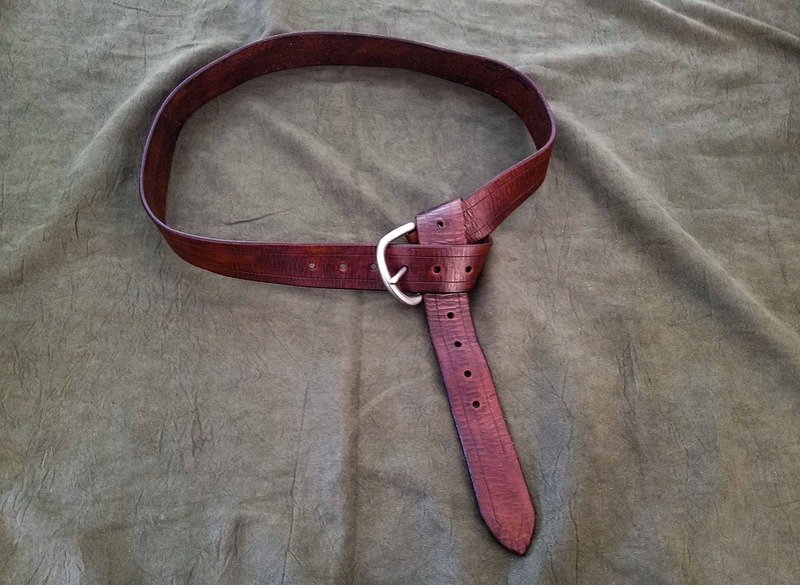 Remember to include a measurement of the circumference of your waist where you'd like the belt to sit. 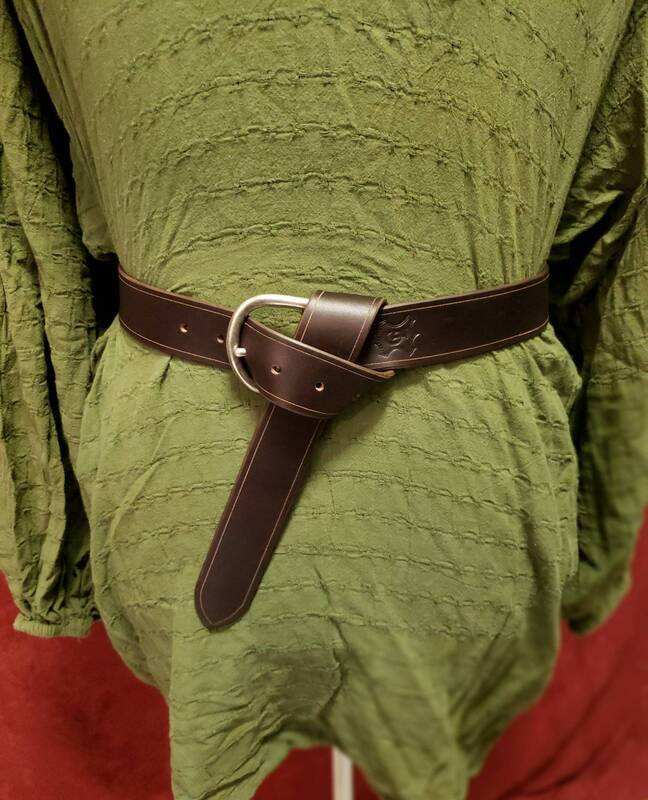 A heroically long belt for holding together your medieval outfit, hanging your sword, and doing all the other things that belts are good for. 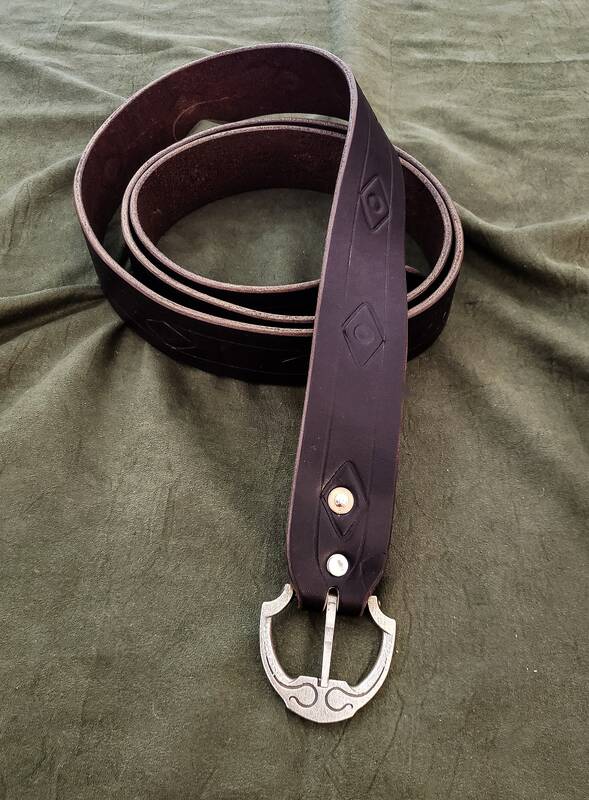 Made from 8-10 ounce latigo cowhide, the belt comes with your choice of several buckles, please view the last image for reference. 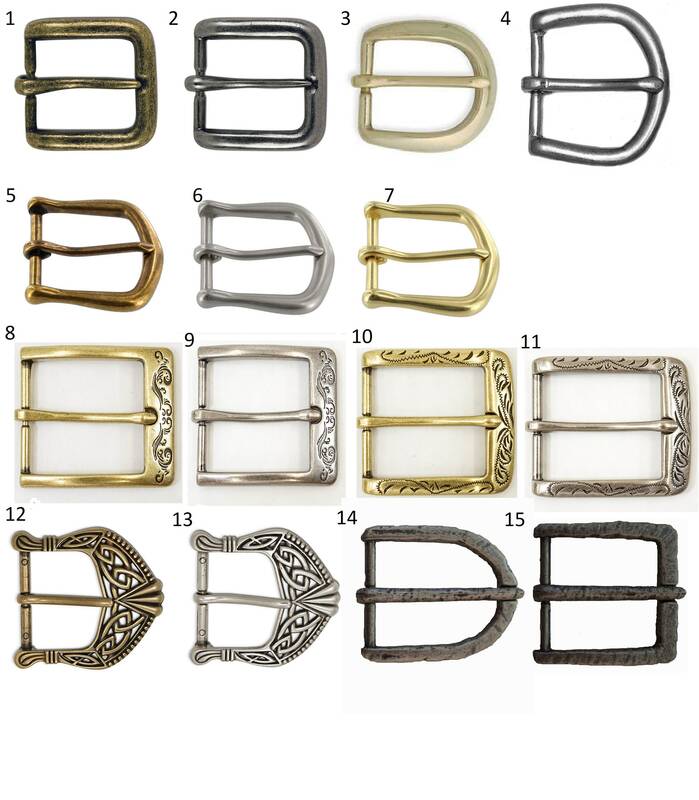 The strider buckle option comes with a screen accurate replica of aragorns belt buckle from the lord of the rings. 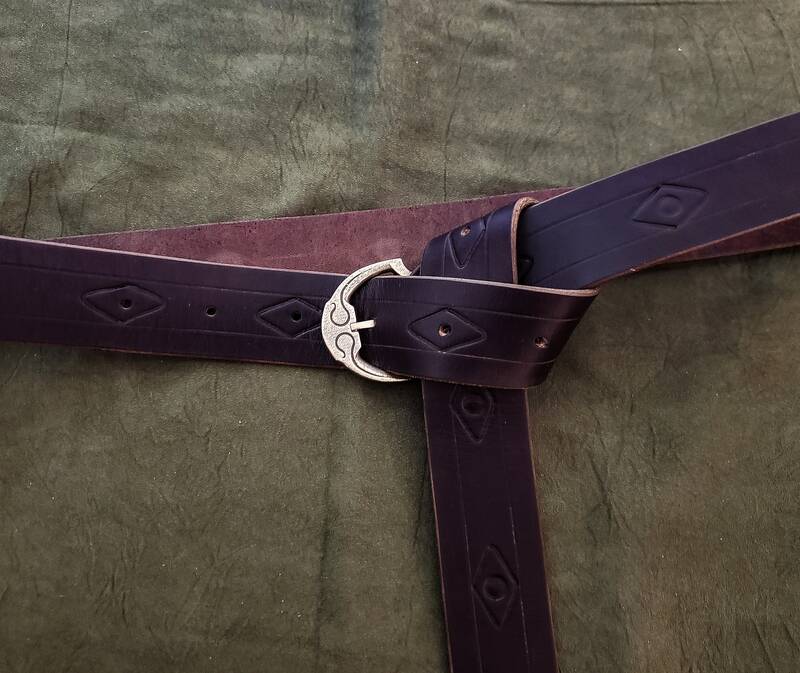 You also have the option of getting the belt with the screen accurate diamond stamp pattern in addition to the buckle. 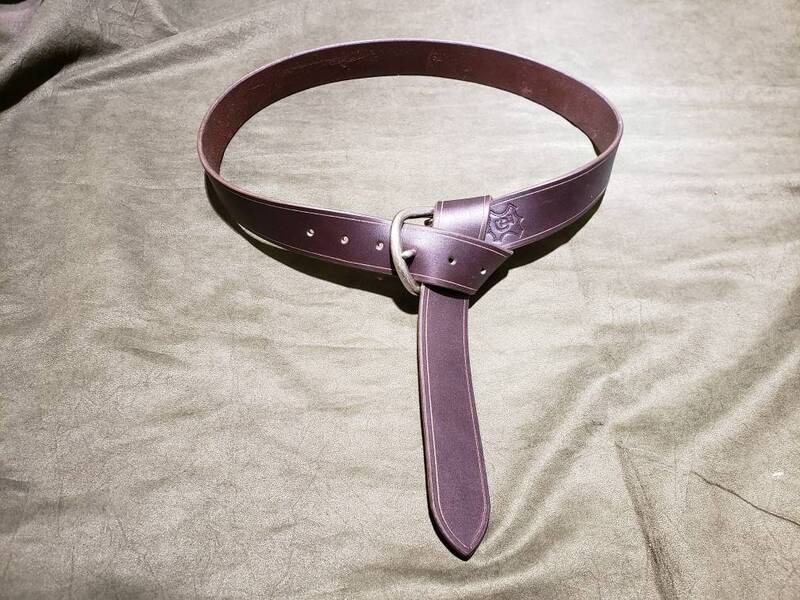 The belt includes an extra 10" at the end so that you can tie it in a knot, the way real medieval warriors undoubtedly did. 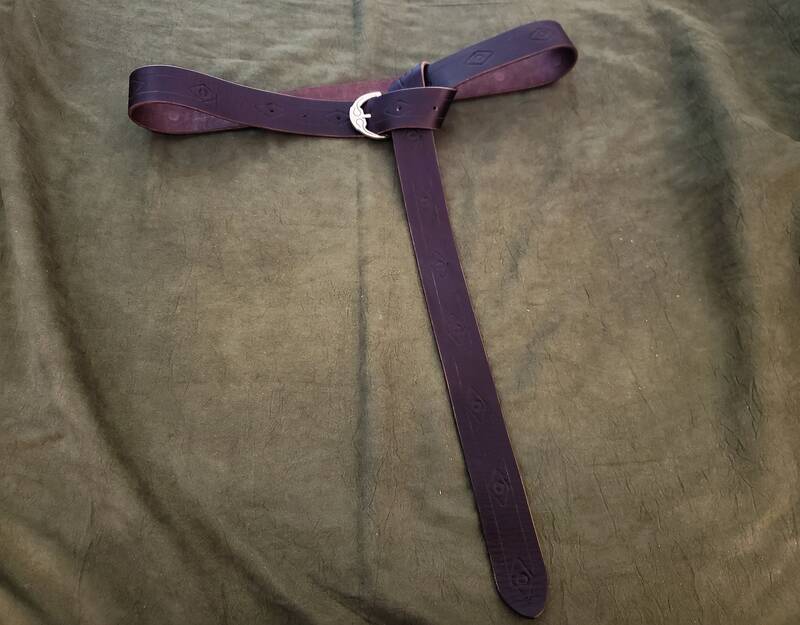 If you'd like yours to be shorter or longer, let me know before ordering. 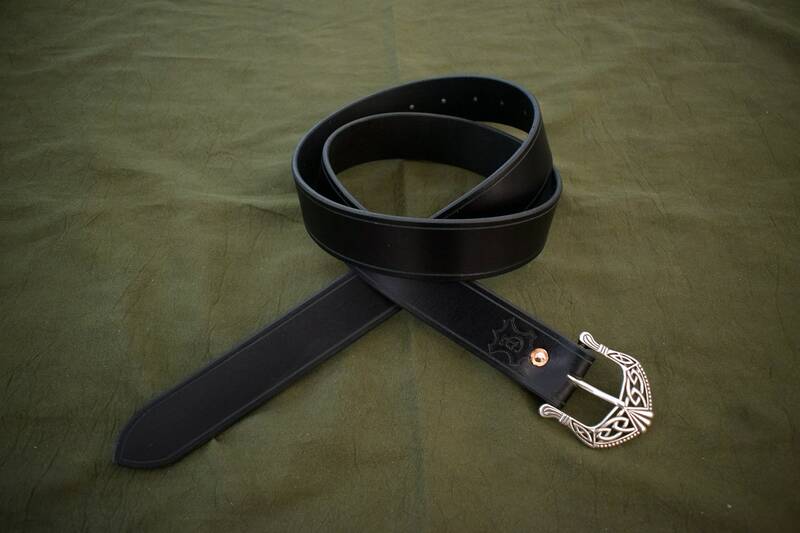 This belt pairs excellently with our universal sword suspension straps. Thanks for being so accommodating! It’s perfect! Love this piece. Good color, fits well. Will definitely be doing more business with them!